If there was one thing I wasn’t expecting on a dreary Friday afternoon, it was a gorgeous pink box to be delivered. 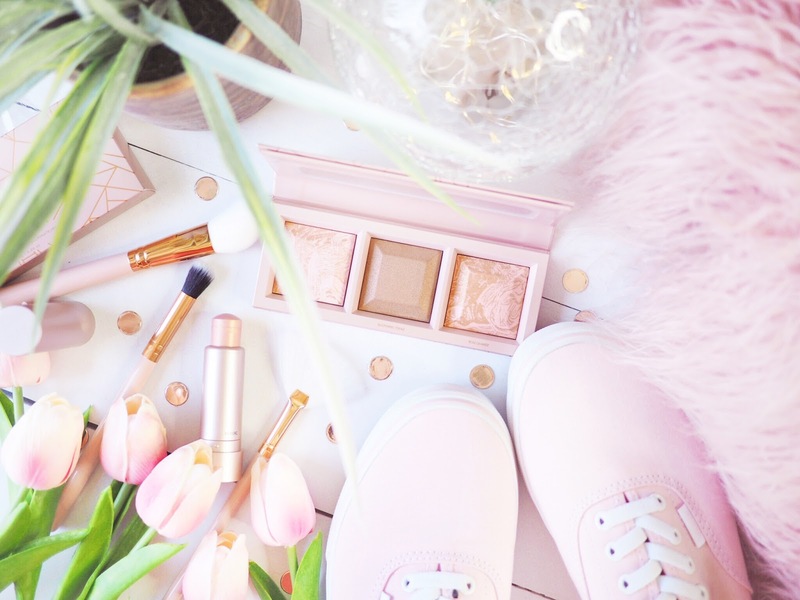 Anything in a pink box instantly makes me happy because hey, this girl loves pink – have you seen my Instagram feed?! Anyway, upon opening it, the excitement got real. 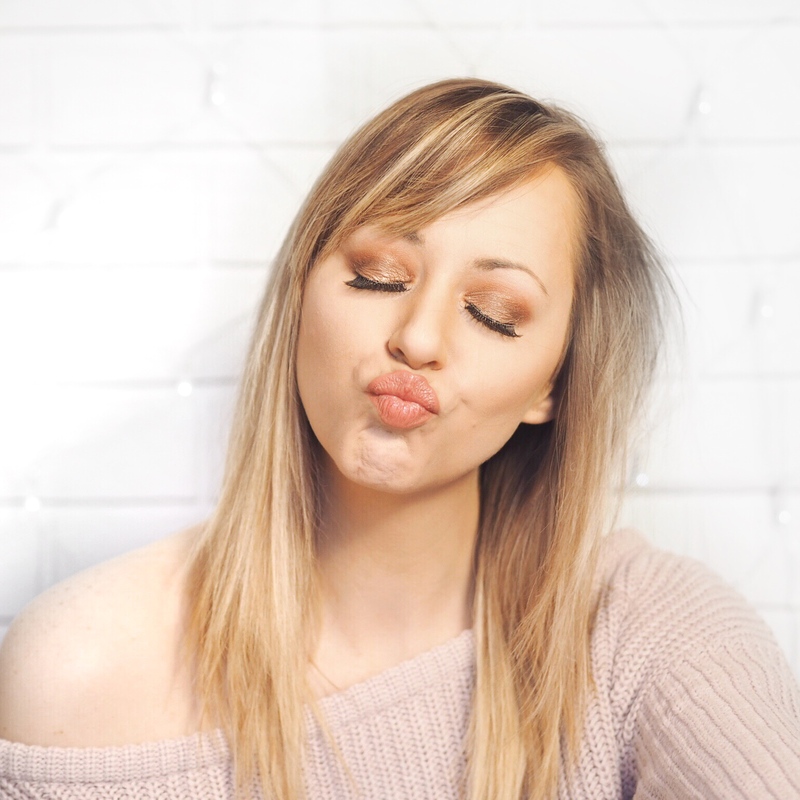 The lovely folks at Bare Minerals had released a rose gold themed, limited edition collection called Crystalline Glow and it is everything I love about make up. 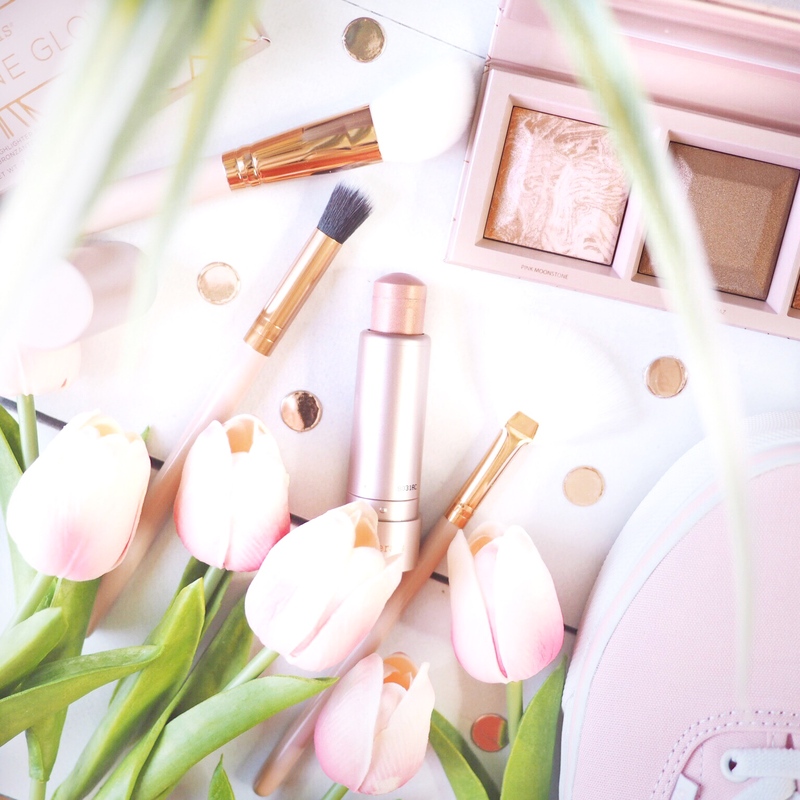 And as a girly-girl anything with a rose gold focus wins my heart quickly. Over here in ‘real life’ I’m a super pale girl who loves highlight as much as the next person. But the problem that I have is finding highlighting products that don’t stand out on my skin. You’d be surprised how many highlighting products aren’t suitable for the pale tones at all. 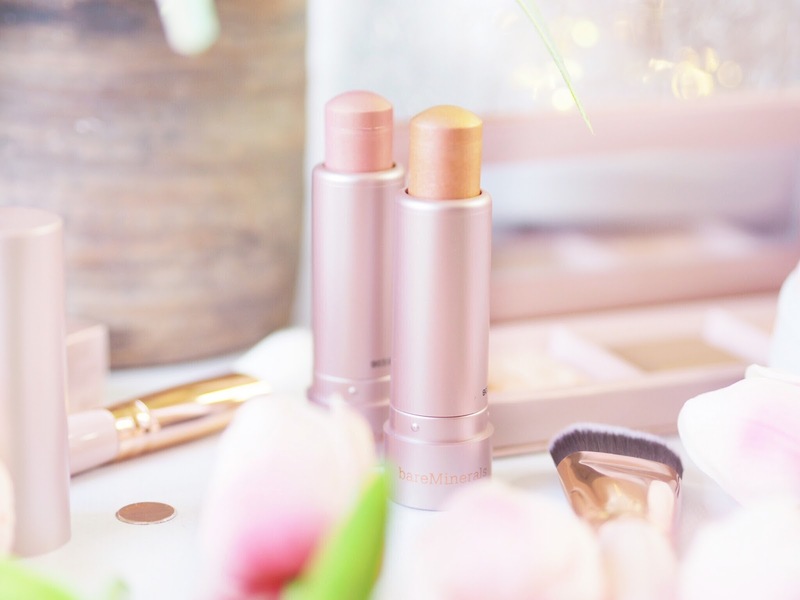 A general point I love about Bare Minerals anyway, is how gentle their products are, not just from a skincare perspective, but their make up is so gentle that it gives full control. 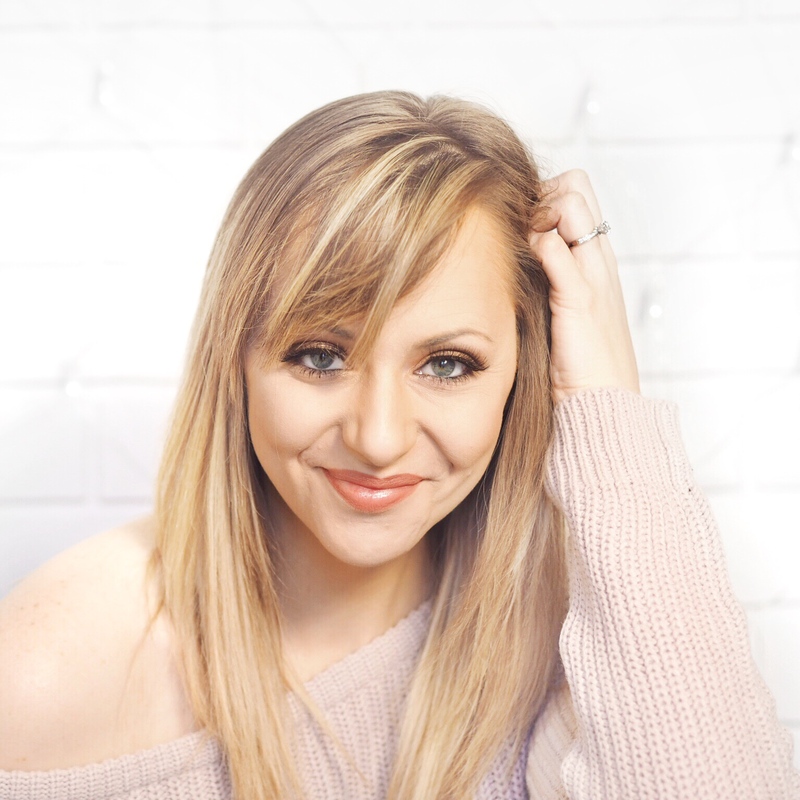 You can go in lightly and gently with all of their products, and build up in coverage to suit your style and skin tone. And it’s because of the gentle formulas and the control that they give, that they’re one of the few brands who’s products work for the pale girls – hurray! 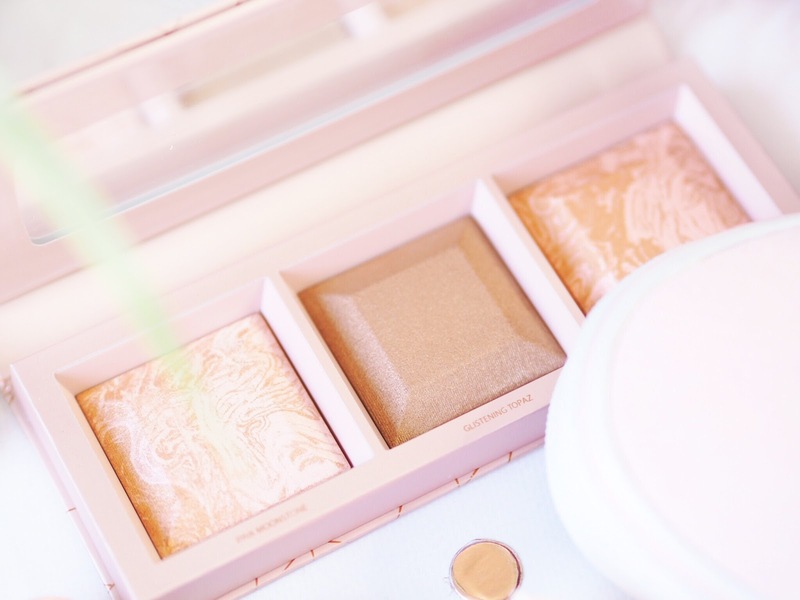 Naturally being the palette lover that I am, I was first drawn to the Crystalline Glow Bronzer & Highlighter Palette. It’s a gorgeous rose gold palette featuring three individual shades of bronzer to universally highlight the face. 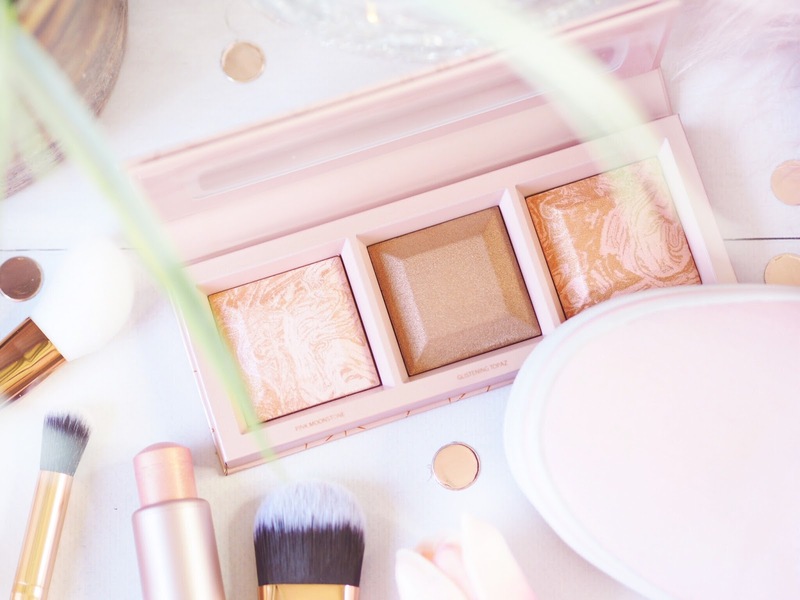 The colours within the palette itself vary with one pink tone, one bronze, and one rose gold – meaning you can get just the right shade for each part of your face. And the powder fine texture actually means you can apply it lightly all over for a radiant look if you want to as well. This is something I hadn’t been able to do with a bronzer before because of my paleness because the colour of the powder behind the highlight would always stand out too much. This one is so subtle it adds a gorgeous all over glow, without the colour being overpowering. The pink and rose gold shades (Pink moonstone and Rose Quartz) are my two favourites and I’ve found myself using this almost daily across my cheeks for a subtle shimmer. And just knowing that it’s got crushed rose quartz crystals in the powder itself makes me feel exceptionally sassy too! 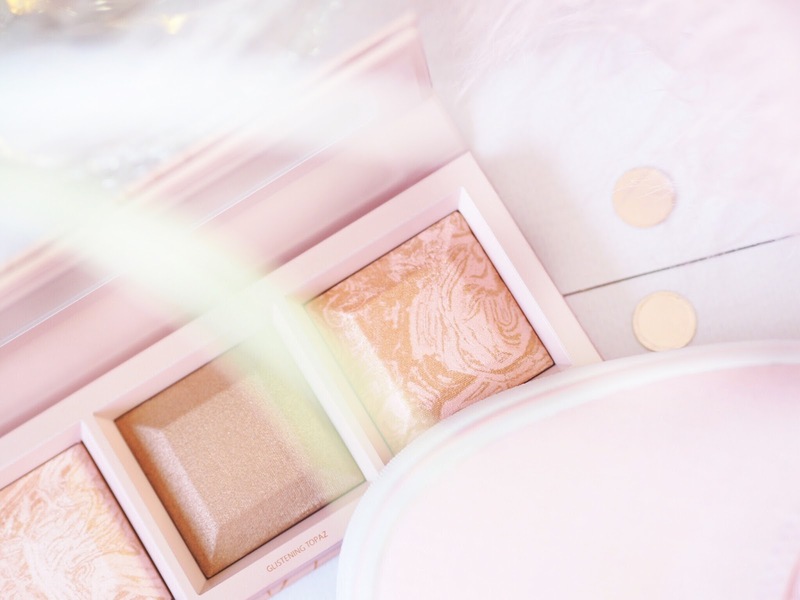 What girl wouldn’t love knowing her make up has crushed rose quartz crystals in it?! I knew I’d love the palette from the second I saw it, but the Crystalline Glow Highlighter Sticks were different. Cream highlighters have always given me the most trouble when it comes to cheek highlighting. The cream ones seem to pack more colour than powder so it’s hard to find a pale enough one for my skin tone. But Bare Minerals have created three shades including Prismatic Pearl which is the perfect colour for those of us with very ivory toned skin. It’s got the same amount of highlight and shimmer as the two other shades (more rose gold and bronze) but just with the opalescent white tone to be able to adapt to my skin. 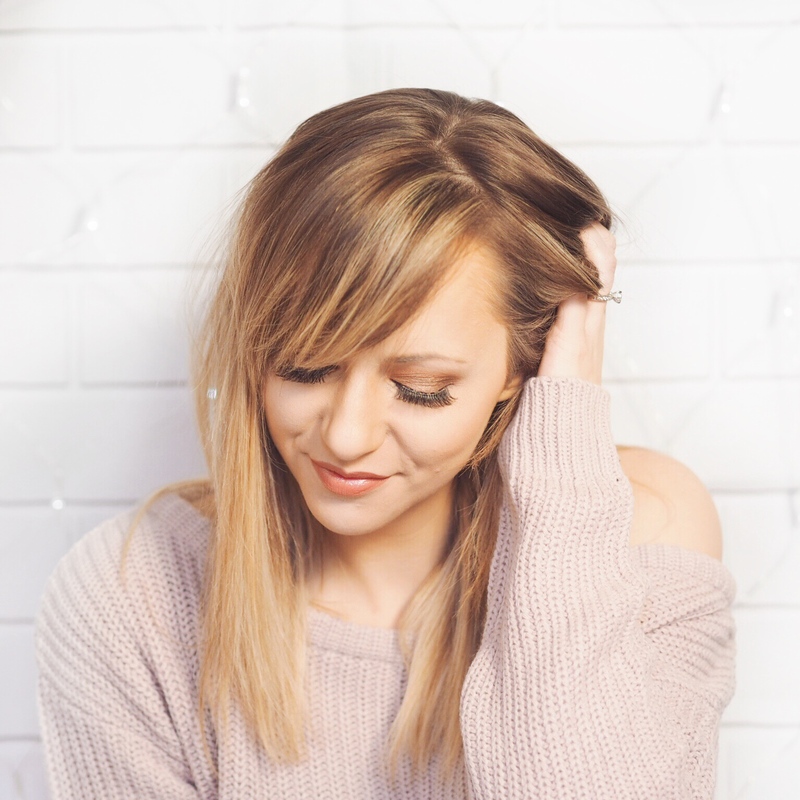 It applied like pure butter and gently sits on the skin and one coat is all you need for a subtle but cute shimmer. I really like this on the tip of my nose, the cupids bow and under my brow bone as well. The texture makes it really easy to blend out as well so you can get the full highlight experience from them too.